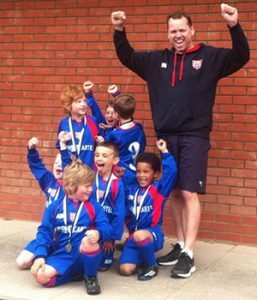 Ecclesall Rangers has more than four hundred members, in Nursery Teams to U18s, enthusiastically playing and training each week. These children, of all abilities come from far and wide, across the City of Sheffield.The Club is organised with a team of over twenty dedicated, fully committed, voluntary Coaches/Managers, all trained to F.A. standard and holding the relevant Child Protection and Safeguarding qualifications. Martin Windle, Chairman and Welfare Officer, founded this inclusive and amazing club more than twenty-eight years ago. He was awarded a British Empire Medal for his services to Football and the Community in March 2018. Martin is passionately campaigning to retain and safeguard the Home Ground, where the Club has been based since 1992 to 2017. The Club has the following petition running, with support from 836 good people, including signatures from Keith Hackett, Howard Wilkinson and Richard Kettleborough. I write to ask the NCFA members to give their influential support to this worthy and very important cause. Please, please read the petition letter and add your Voice so that a local, Home Ground is secured, and the future existence of junior grassroots football is strengthened. Martin has verbal support for funding from Sport England, who are in consultation with Sheffield City Council. However, another season is fast going by, with promises made lying unfulfilled. Meanwhile, the Club has no Home Ground. 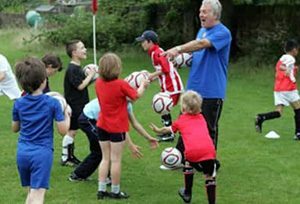 Its keen and eager young members are reduced to playing and training on unhealthy, litter strewn pitches with very poor drainage, on sites without changing or toilet facilities. This, to me, seems outrageous. To further explain, part of the promised funding is a plan for 60 x 40 yards 3G pitches which would enable young people with disabilities to safely enjoy football. For Martin and all the wonderful volunteer Coaches/Managers this would be a dream come true, for their Club, and its young members. Sheffield City Council’s plans, despite their previous promises, are for yet more private housing on the site in place of the 3G pitches. This added housing would be on the very areas which for many, many years – decades – have provided specific space for youngsters to freely enjoy sporting activities. The promises made personally to Martin and his team, in meeting after meeting with different organisations and authorities are beginning to ring hollow. At the end of the day, this campaign is for young people to enjoy and learn through sport, in the form of grassroots football with all its many benefits and advantages. The Club’s battle is to put young people, from across the city, of all abilities first. 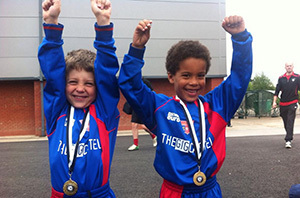 Their aim and priority is to provide a safe environment for young people to enjoy a birth right – healthy, outdoor sport.